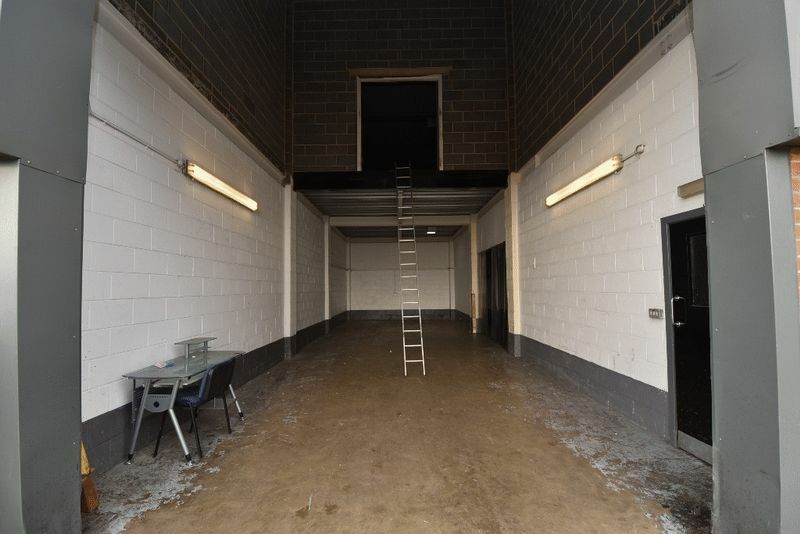 Now available to rent on flexible lease terms is this spacious modern commercial premises which benefit from warehouse / workshop space over 2 floors together with office, toilet and kitchen facilities. 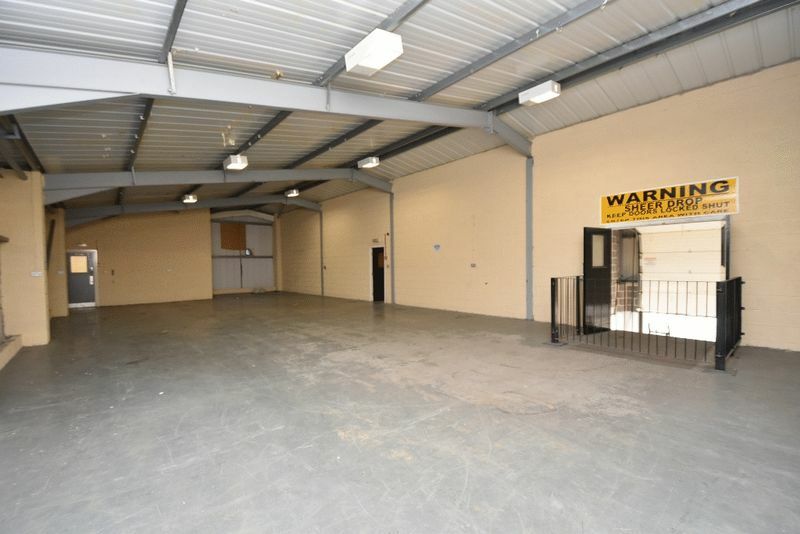 The premises are located on a modern business park close to Junction 40 of the M1 motorway and would be ideal for a variety of alternative business uses. 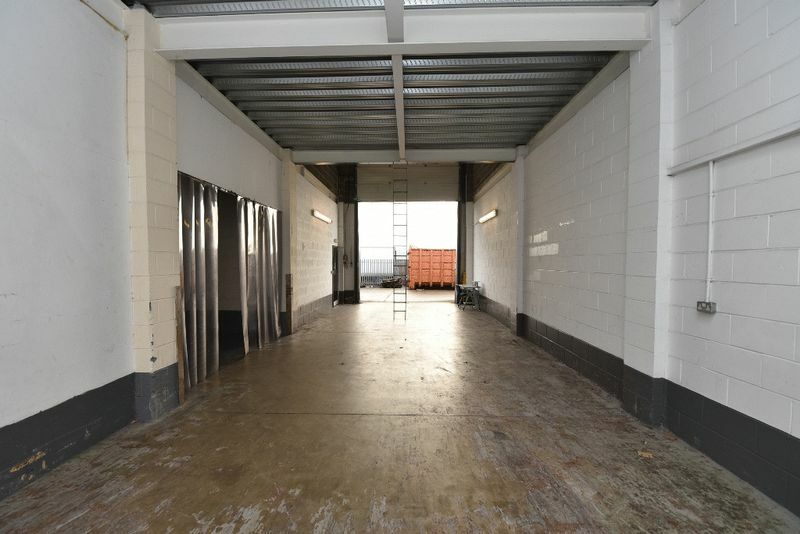 The premises include an electric roller shutter door with 4.5m clear headroom and loading access to first floor level. The property has 3 phase electric. 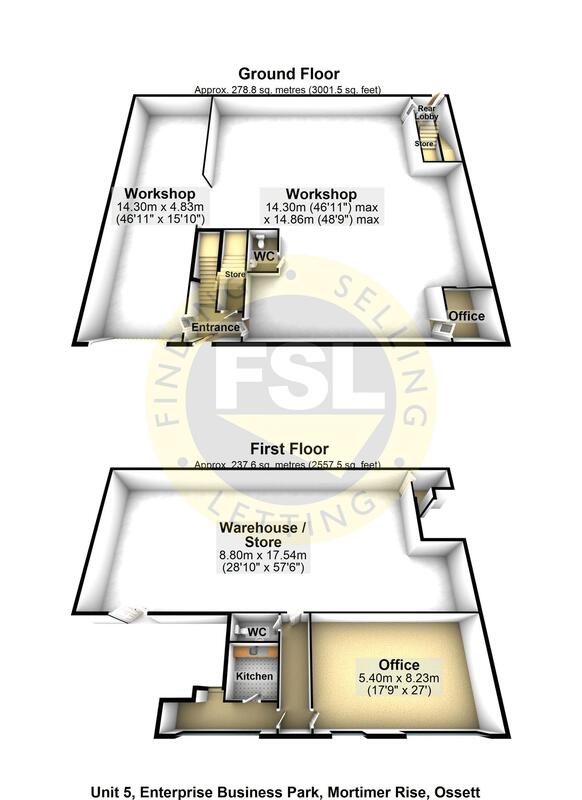 For further details contact our commercial lettings team on 01924 200101. 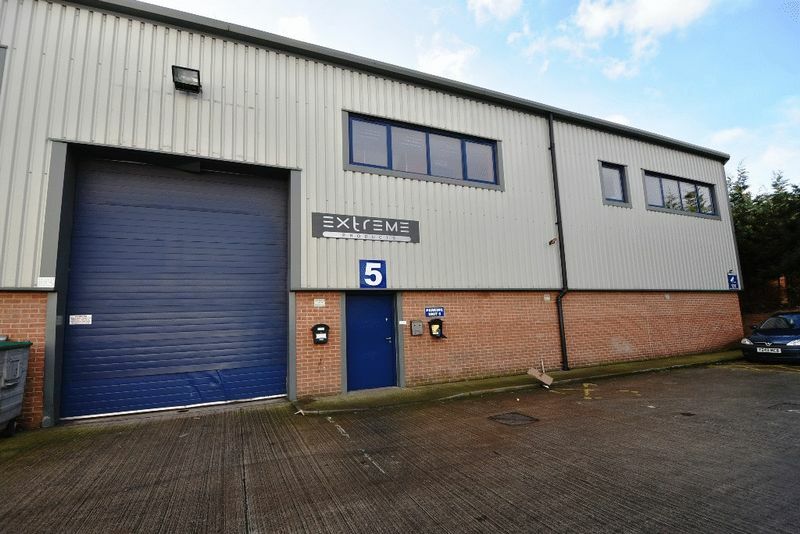 The property is located on Enterprise Business Park off Milner Way Industrial Estate. 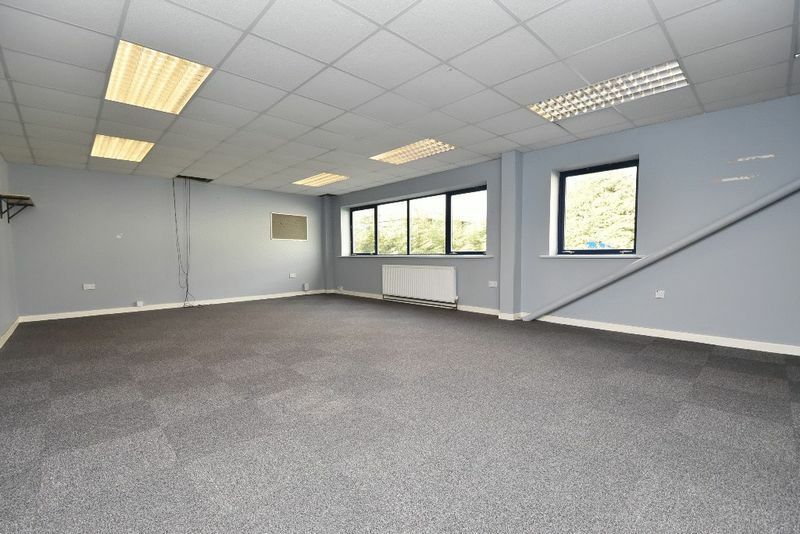 The Business Park is close to Ossett Town centre and approximately 1/2 mile from Junction 40 of the M1 motorway. 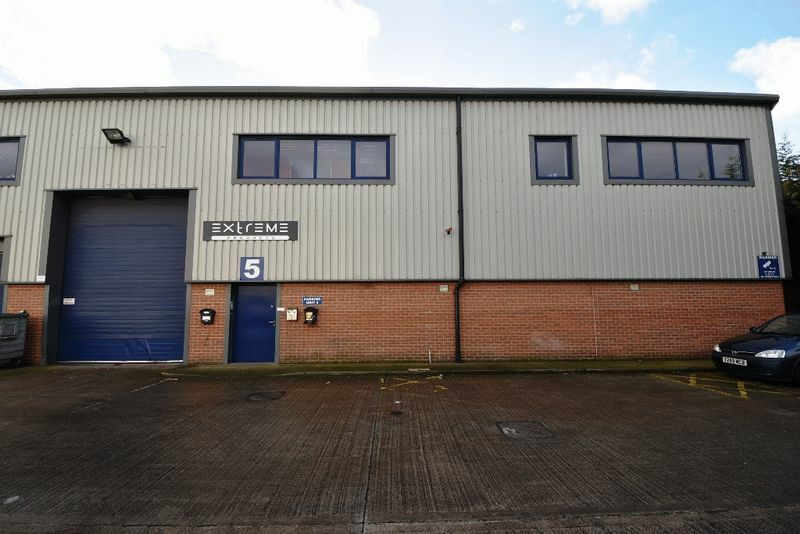 As such it is readily accessible both by private and public transport and is ideally placed for any business serving the central Yorkshire region. Our measurement of the building indicates an internal floor area of approximately 5500 sq ft (excluding loading bay void). Approximate room sizes are shown on the floorplans. The net internal floor area as measured by the VOA is 5110 sq ft (474.8 m2). 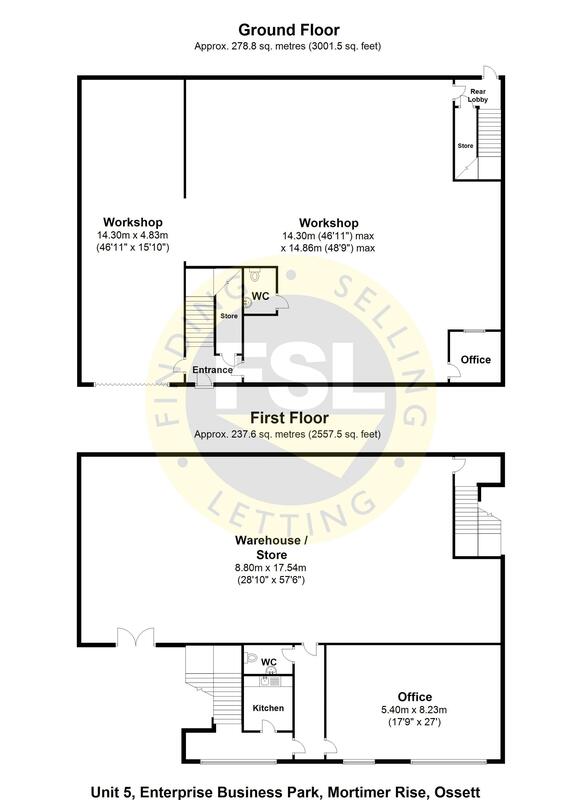 The VOA website indicates that the rateable value is currently split into 3 separate areas: ground floor (£17,250), first floor store (£8400) and first floor offices (£5000). Flexible lease terms by negotiation on a full repair and insure basis. 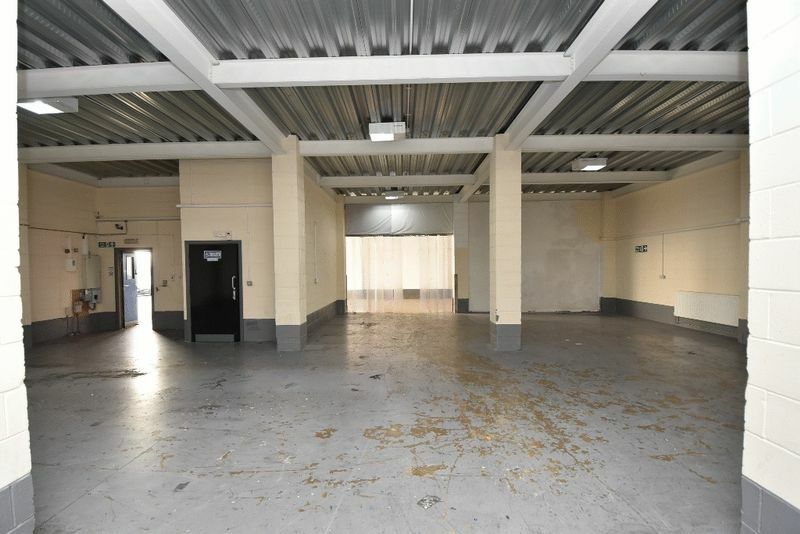 For further information and to arrange a viewing, contact our friendly commercial lettings team on 01924 200101.